Redesigned packaging for their aluminum-sealed teabag line. In keeping with the brand’s motto as “innovator of today’s most popular green teas,” the final design is fresh, airy and appealing. The original colors representing each tea type remain the same, but are applied more distinctively. 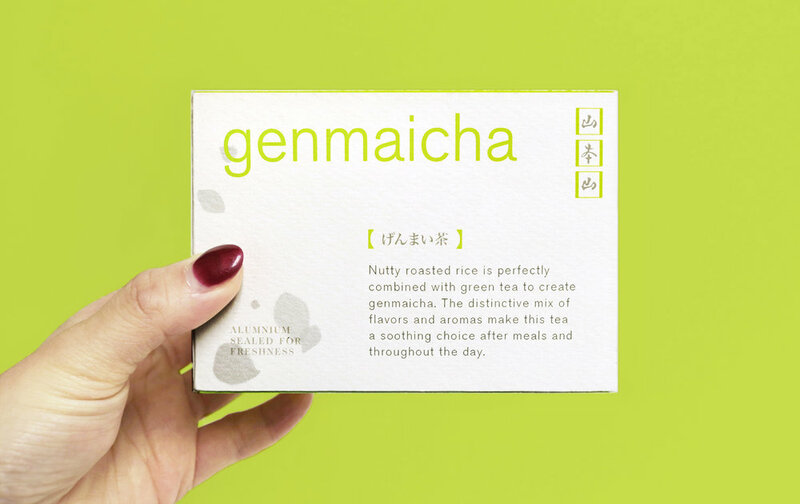 The tea is easily identified through the colored faces of the box and the large, clean typographic treatment on the front.